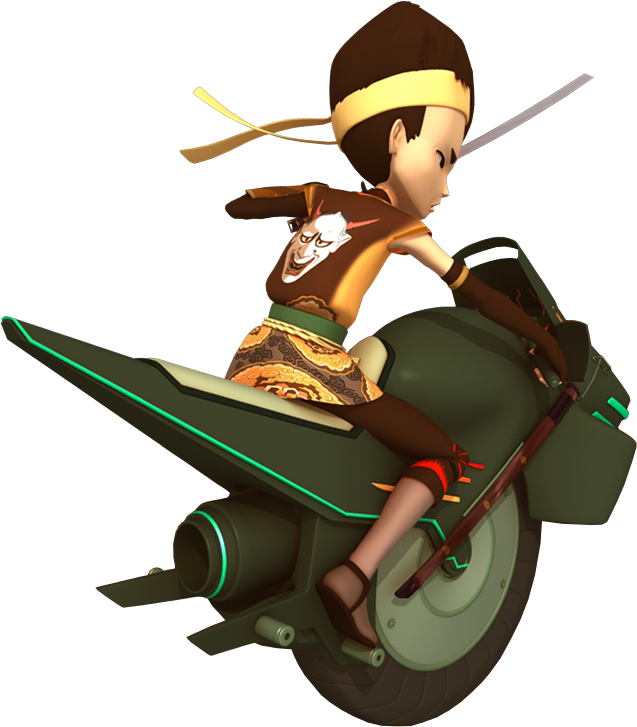 Here you will find the latest news about CodeLyoko.Fr. 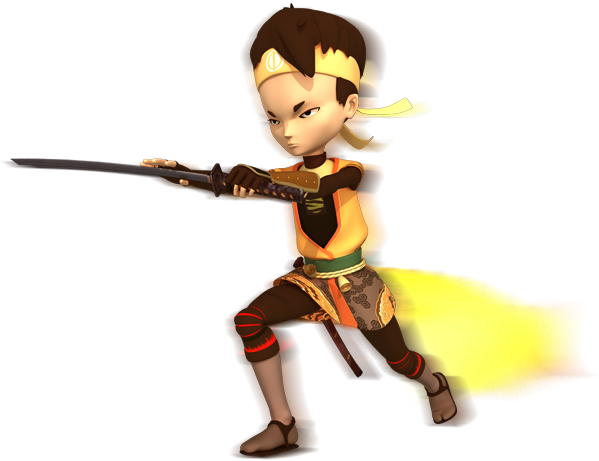 If you are looking for the news about Code Lyoko, go to the CL news section! 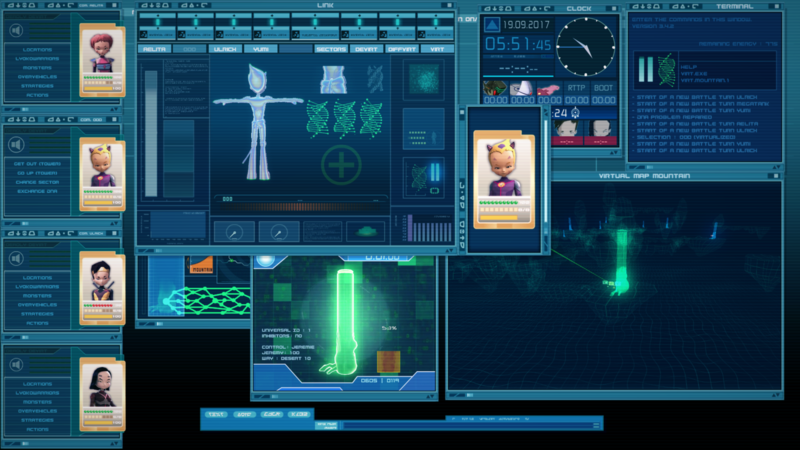 The Fictional Interface of Code Lyoko's Supercomputer (IFSCL) has been brought back in 3.5.0 this 26th of November. 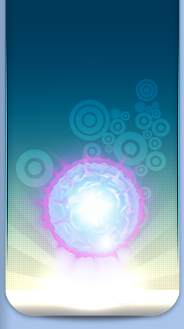 Although, that version also got big changes for the last 3 weeks, and is now released under improved version. 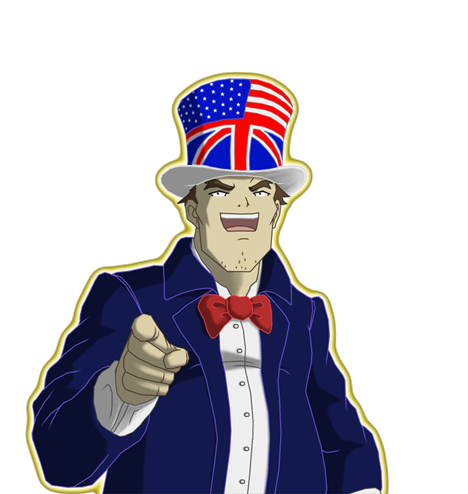 Same old, same old, William, Xanafication, sector destruction and reconstruction and many other things are available! 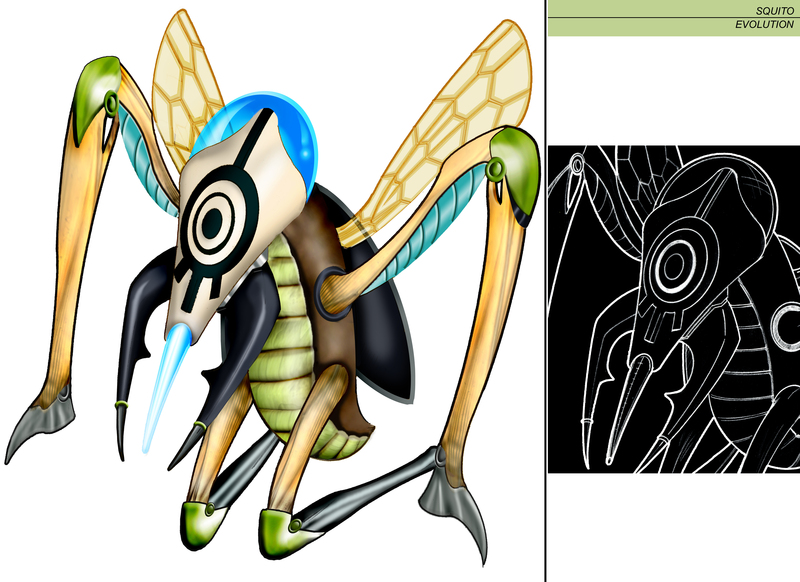 The workload has been pretty intense for the last version and now requires a bit of sleep. 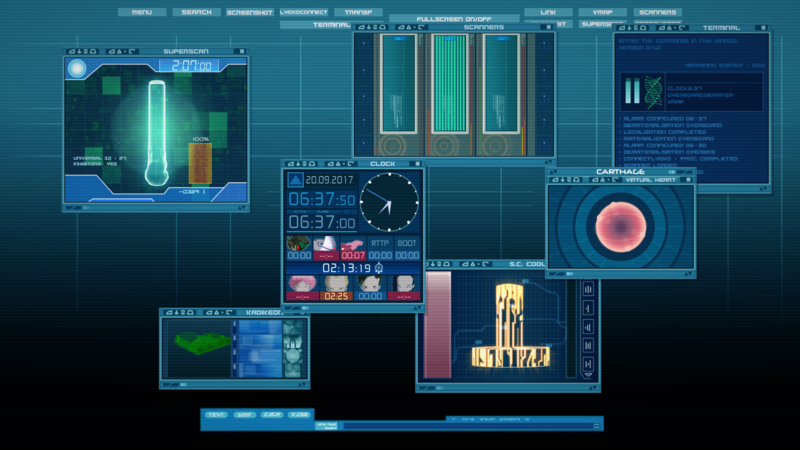 But do not worry, as December is a month for Immu's Room clues (hidden functionality that allows you to discover future elements of IFSCL). 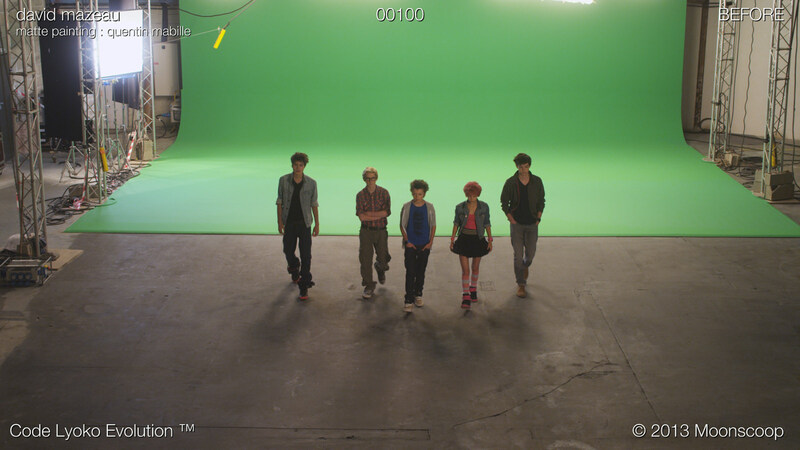 They'll be unveiled during the course of December across social networks. 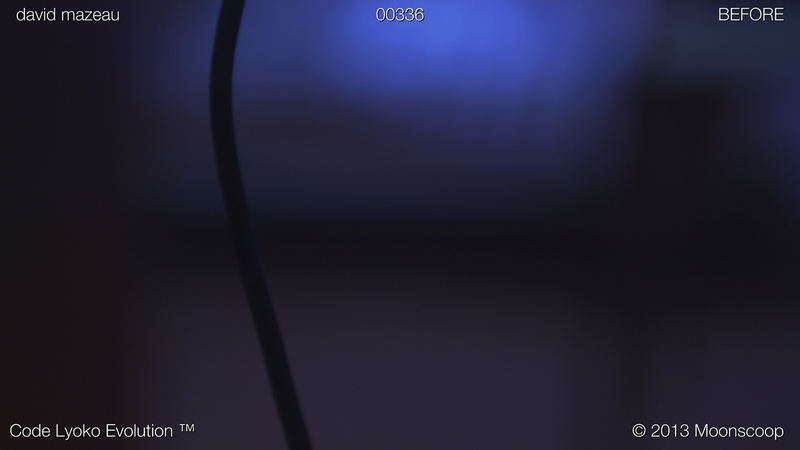 Also, one version, number 355 currently, is planned for early 2018, with - eventually-, a trailer for this christmas. 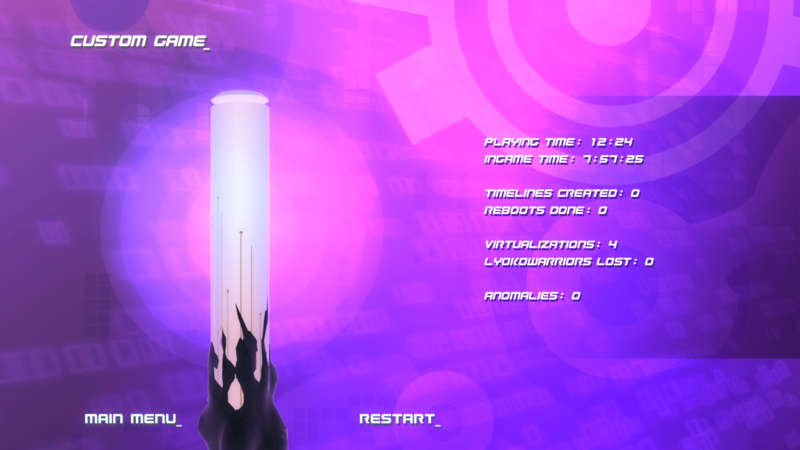 For those who wants to see the live progression of next version, check the changelog! For a dynamic chat,it's on the discord! Thnaks and see you soon! 10 years later... Scripts vs Episodes seasons 1-4! Today, the site team is mostly busy managing the inescapable passage of the end of study, going out and looking for their first job and a happy future. 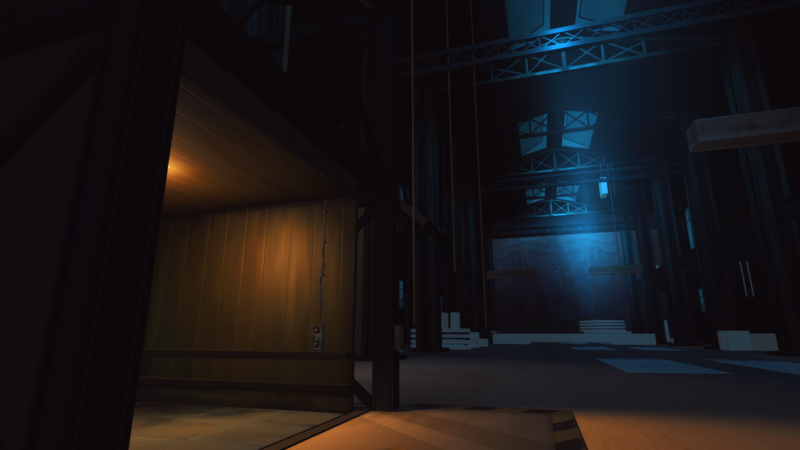 But that doesn't stop us from continuing to keep an ear out for series news, content and community. 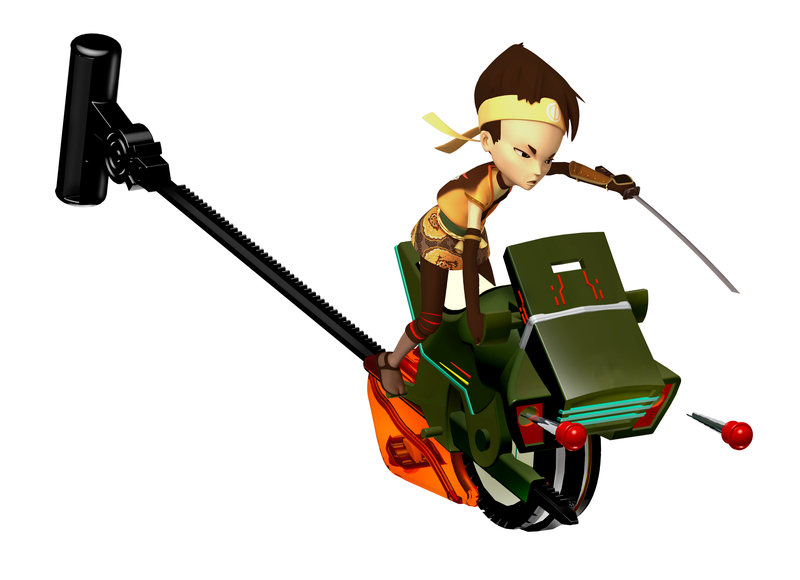 Like all good artists, we're therefore looking to fill a few remaining gaps on CodeLyoko.Fr. No, we're not going to create a v6 and no, we're not going to move the site to HTTPS or rework the forum. 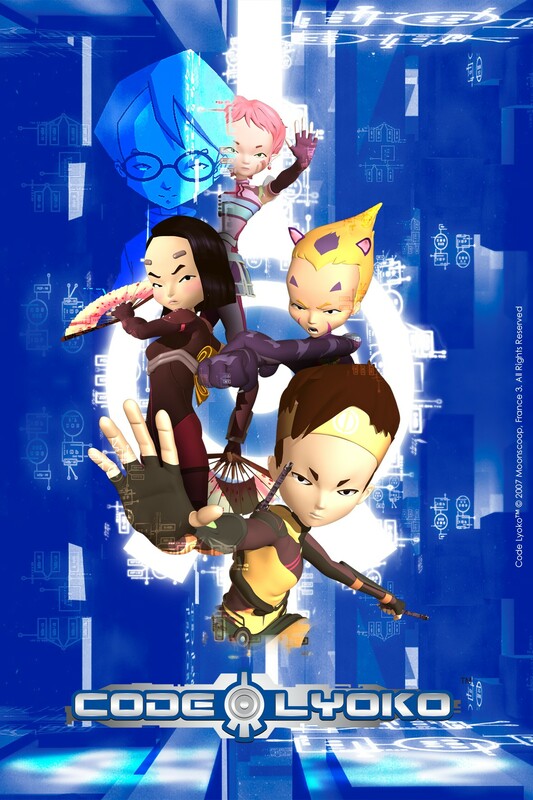 After some long investigations, a large campaign of correspondence with different people and a little boost from a certain Bérik, we have finally managed to get our hands on the scripts for season 4 of Code Lyoko. As a bit of history, the scripts for the episodes from seasons 1 to 3 were sent to us by Sophie Decroisette each time an episode came out. Suddenly, at the start of season 4, Moonscoop decided that it had to stop: it was obvious that some fans preferred to read the episode script instead of watching the episode on TV or buying the DVD… May they rest in peace. So, we had to cut our losses with season 4. 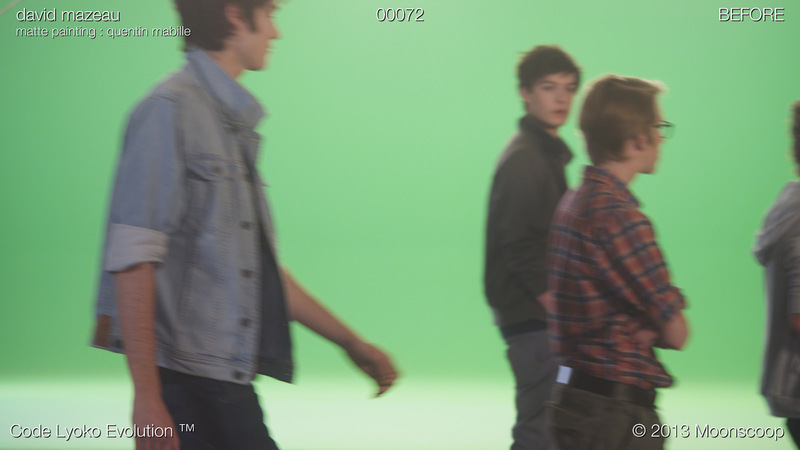 As for Evolution's scripts, we slyly made off with them thanks to our connections with certain members of the film crew and actors. 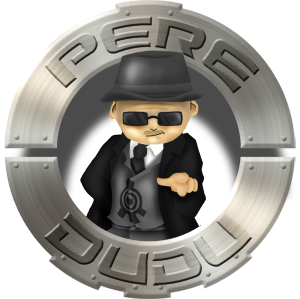 Because we do our jobs well, we have waited several months before releasing the scripts, and we - notably Dude Dudu - have taken the time to update our huge, gargantuan and world-exclusive file, "Scripts to episodes comparison". This file is a must-read for all fans of the series, showing the most remarkable changes between the paper version of the episode (writer's scripts) and the result shown on TV (after it's gone through the production pipeline). It has a homepage with a top 10, and then several pages going over each episode to compare the changes that occurred to each one. After our update, the top 10 became a top 12 most notable changes, adding what are, in our opinion, the two most interesting changes of season 4. The list of Jim's jobs mentioned only in the scripts also gains an additional entry. And yes, it's all in English! Seasons 1 to 4 (but not Evolution) of the Scripts vs Episodes file have all been translated and you can now read them at your leisure. 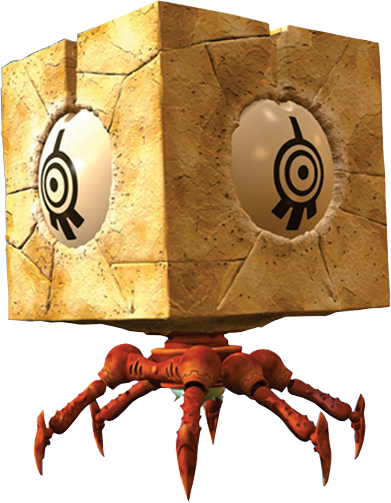 Finally, Immu and the rest of the team will continue to "celebrate" the 10 years since the end of the series with a few other small news articles throughout the month of November, so keep checking back to CodeLyoko.fr! Big recap on the fangames! 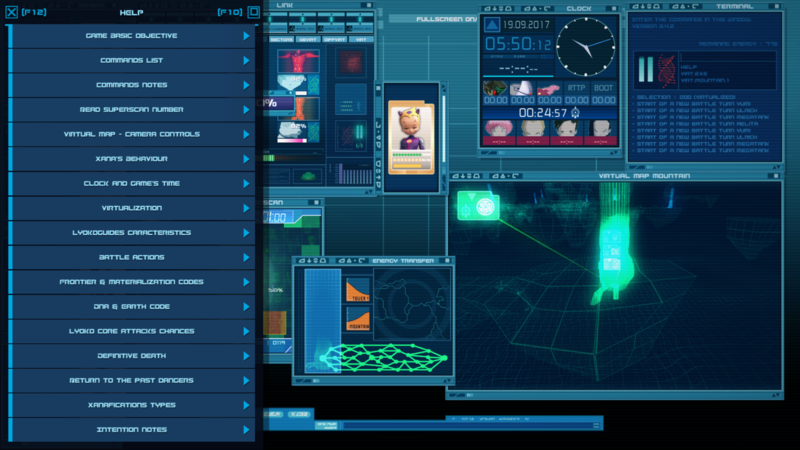 The clock, more realtime than ever! 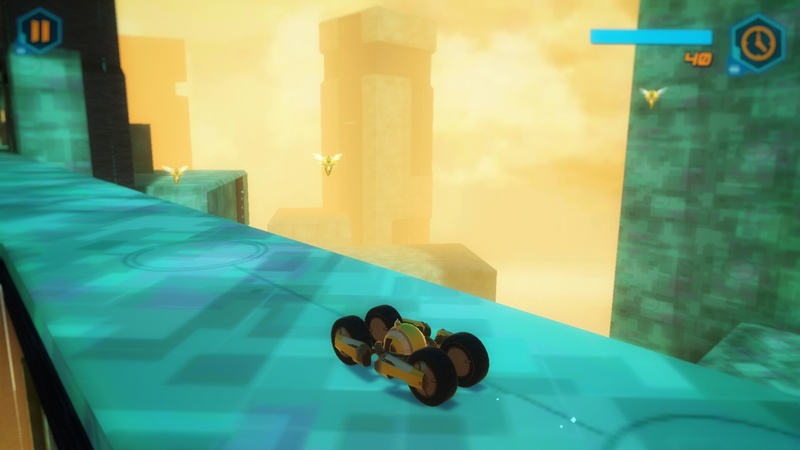 A common program that appears at rares moments in the series more precisely when Yumi is busy defending "Mélanie", the Skidladnir still under construction. However there was no need less for the program to become an essential component to IFSCL, and not the least. It can control time! 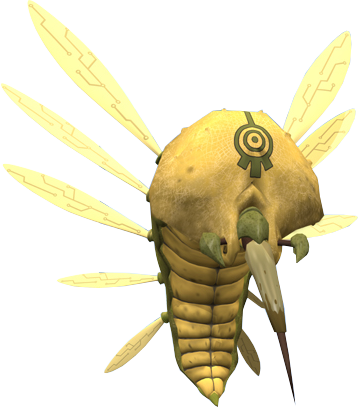 You won't have to wait 10 min for an automatic attack of Xana anymore,now it can rest for many hours or even days like in the series,and like the game runs in real time, so you can accelerate time to the next attack of Xana! 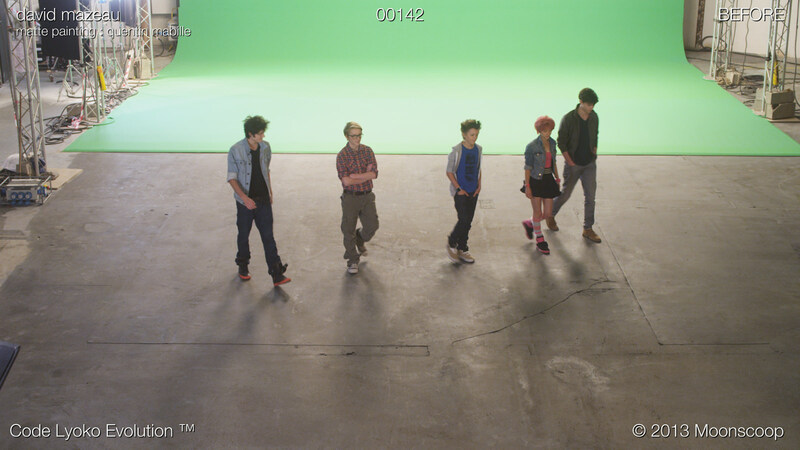 One more thing: the clock show also the time display of the virtualisation of the LyokoWarriors (a minimum of 12 hours mostly explicit in the original series ( confirm in CLE). but also the recompilation times of certain programs like the reboot, Return to the past, or the overvehicles. Because lets face it. there has to be a reason for Jeremy to not use them all the time,so why the programs should not "re-agree" to the digital world every time? It seems a relevant question for me ! 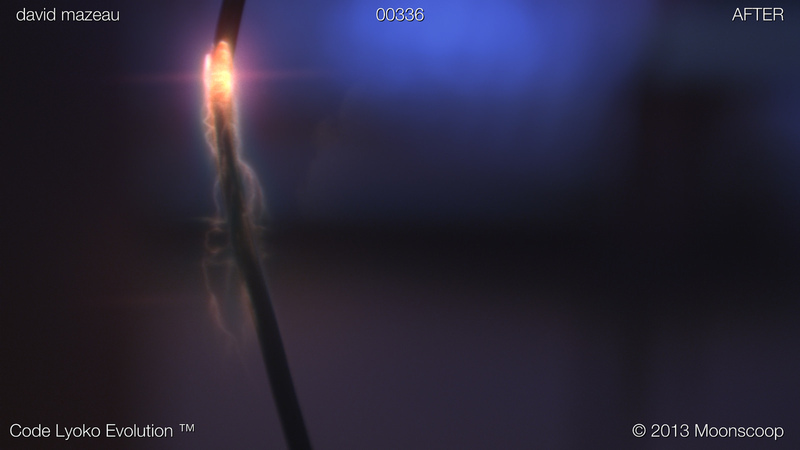 We can note that the window of anomaly can now be narrowed and show the reall reason of the error. 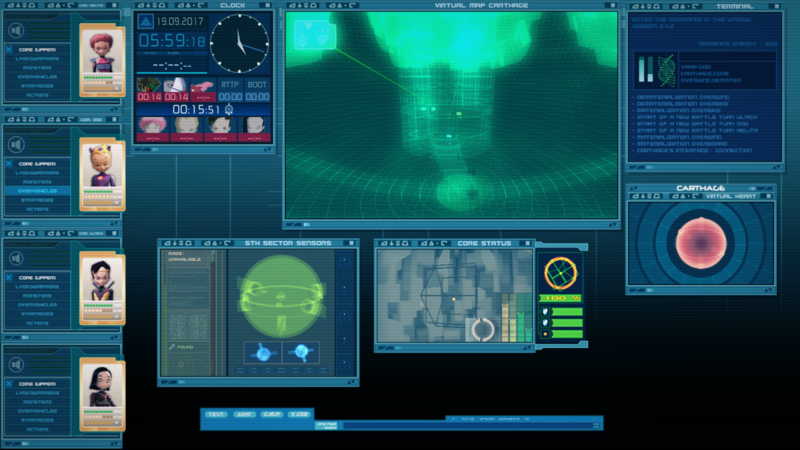 But mostly a big work on the windowss,it illuminates,have a beautifull black border and dont have anymore the problem when we click on the button and we want to slide on the screen. 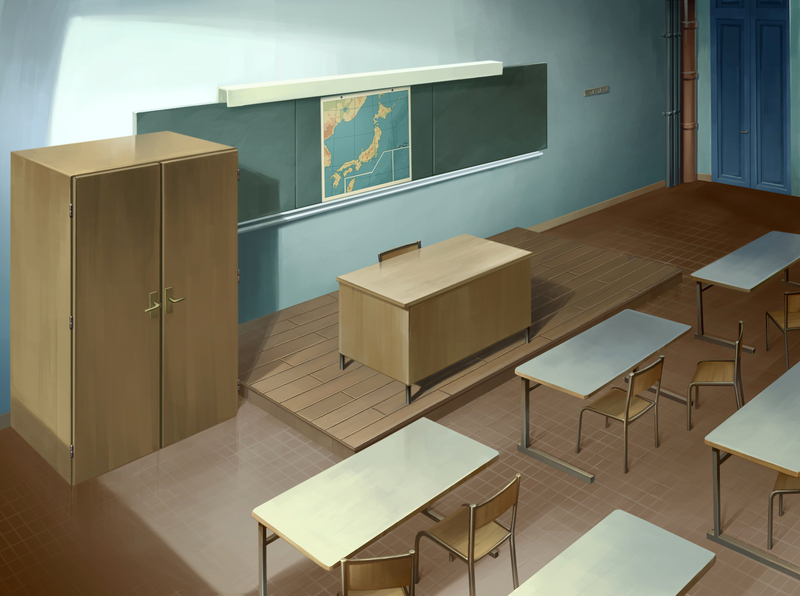 Teased for a month accross social medias and enigmatic clues, 340 & 342 Immu's Room has been unveiled. 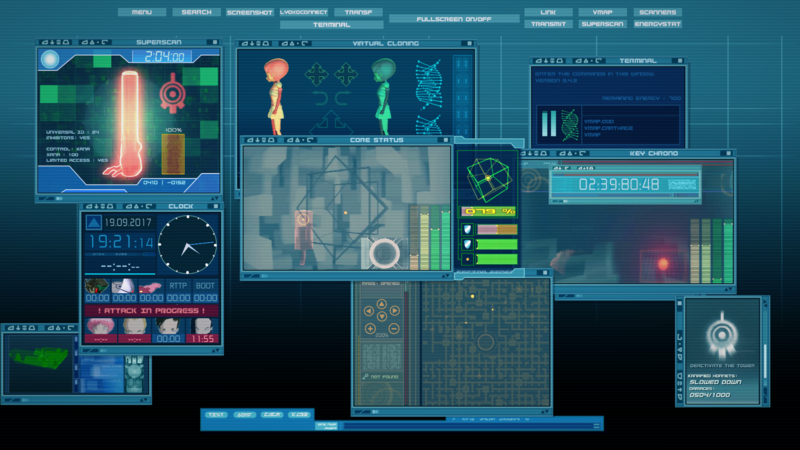 You'll find the 3D cathedral of Code Lyoko's factory, a prelude to IFSCL story mode. 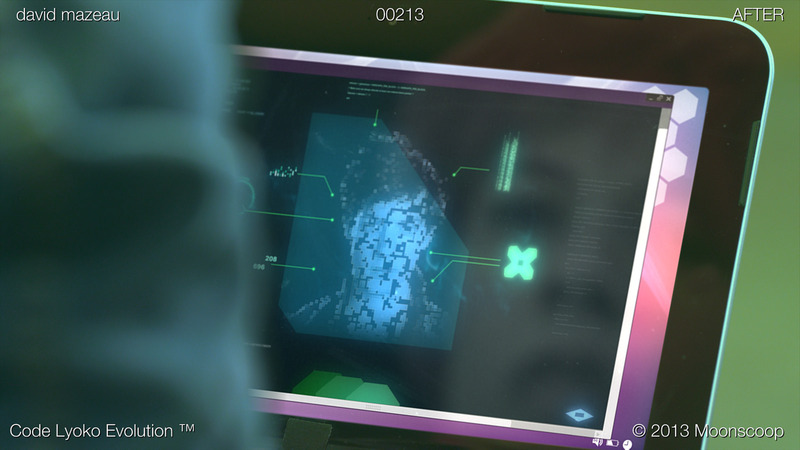 Also many other clues can be find inside, which are linked to IFSCL's future. 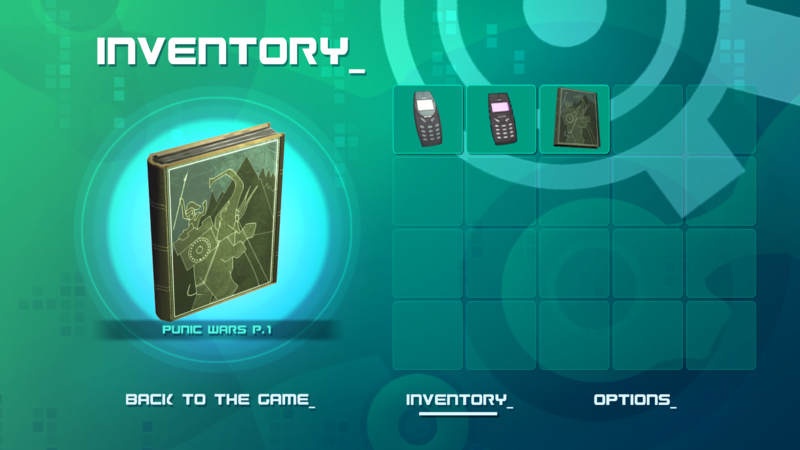 The inventory, while not being very interactive at that moment, is also an early taste of the story mode, in which every item collected in game can have a use. 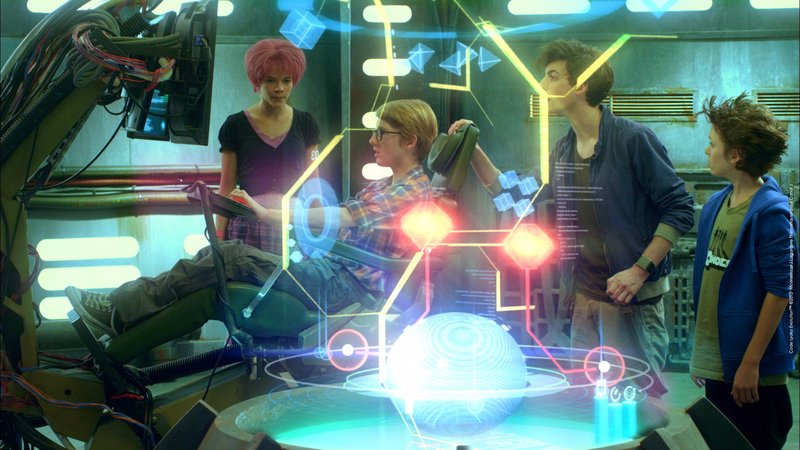 Around 40 objects are planned, from the most weird but very true to the series, (orange and black soda can) to the most obvious ones (cd of aelita's materialization, Franz Hopper's suitcase...). 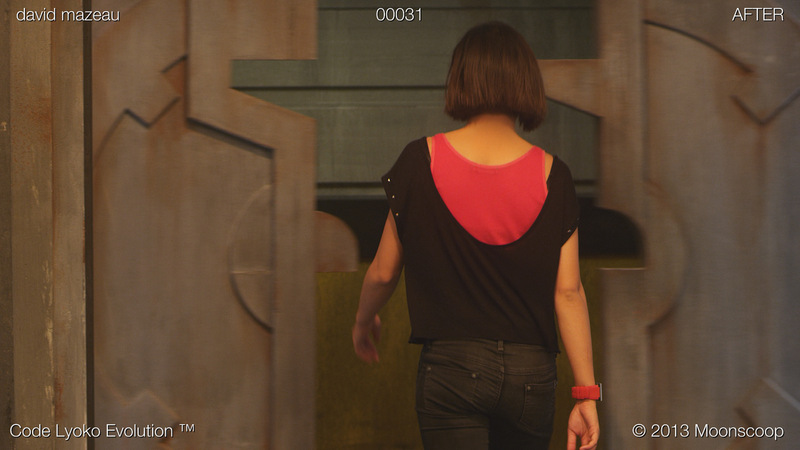 And as a bonus, two fan videos regarding IFSCL Immu's Room and a retrospective for the other. They're in french, but we're still not having much video like that in english, so don't hesitate to participate by creating your own theory videos or analysis in english! There's no perfect version, but this one is really clean of any big issue. The only little things to know are : kiwi window command won't work so simply use the search button on the upper part of the interface. 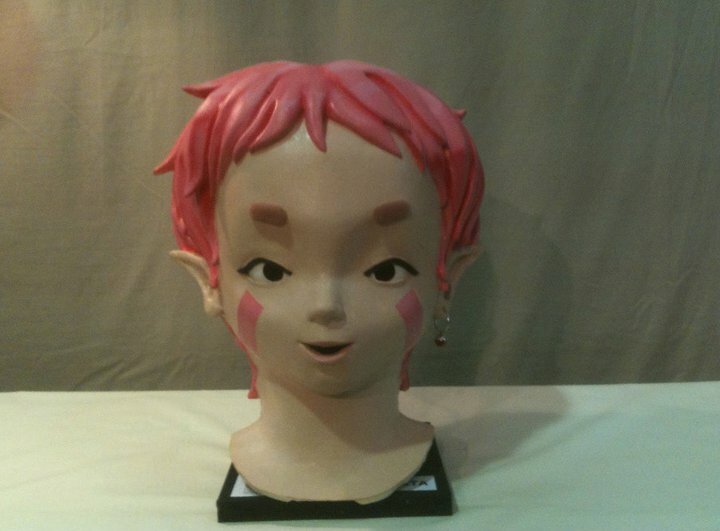 There's currently no gameover if aelita ends up not being rematerializable before the end of a Xana earth Attack. 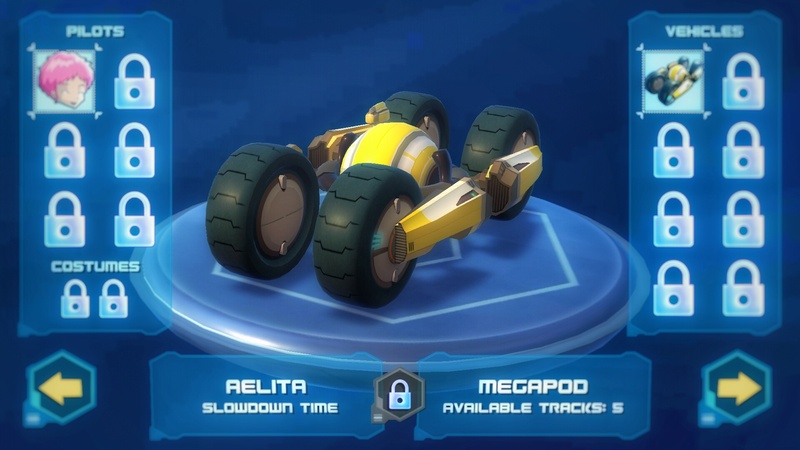 Also, we are stuck if the vehicles cannot be rematerialized while we are in celestial dome or lyoko's core/heart. 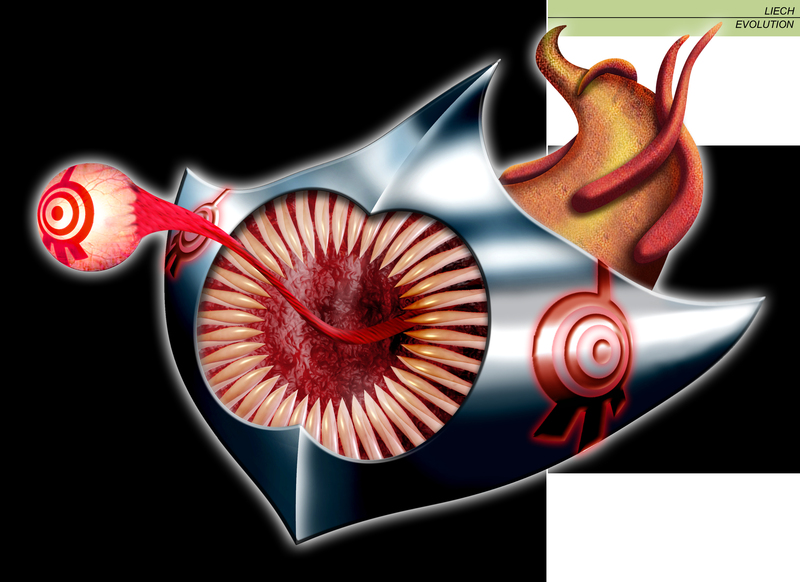 Those two situations will respectively be resolved by a one-way secret passage in the core that will lead to arena, and a special program in celestial dome interface to quickly recompile a vehicle. 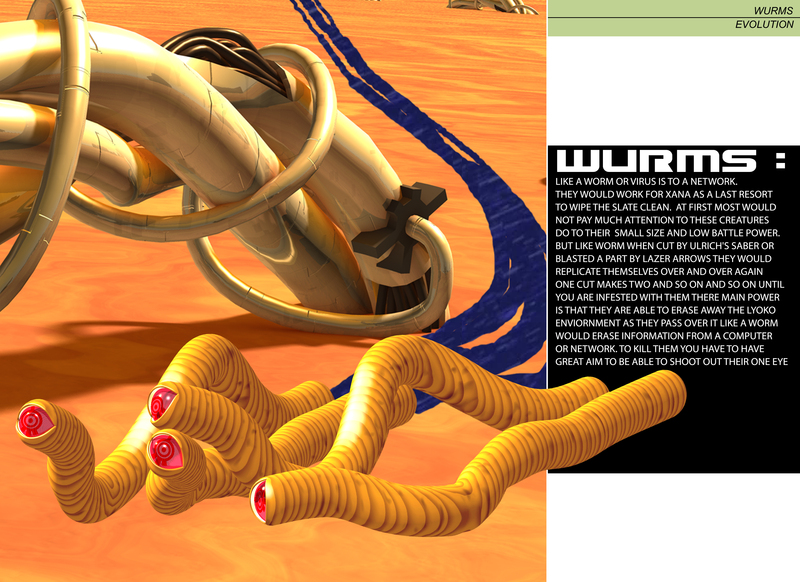 So that 3.5.0, planned for october/november has the goal to bring us William but also to the xanafication of lyokowarriors by the scyphozoa and the whole management of creation/destruction of the sectors. While that for 3.7.0, which target Christmas 2017, that one will have the hard task to introduce the skidbladnir and the digital sea (but not yet the replikas). 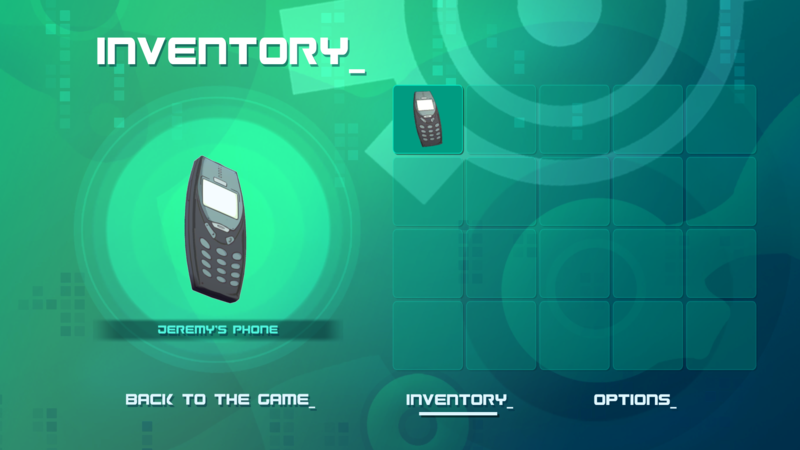 I put every effort possible so that translators, beta testers and I will allow 2018 to be under the sign of the 'story mode'. 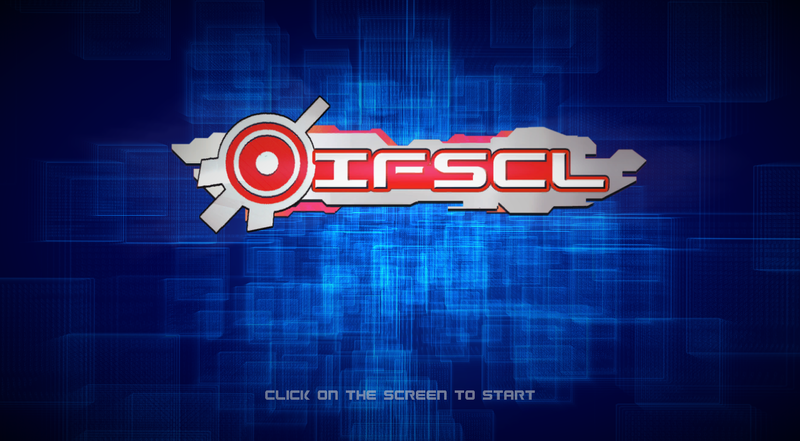 Also created by your dedicated fangame creator, this ambitious online real time strategy game based on Xana and William is still in production within two IFSCL work periods. 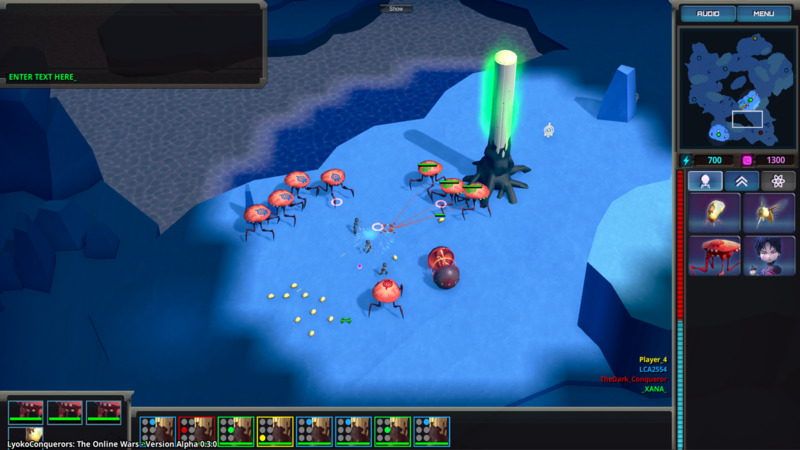 A minimal knowledge of classic STR (age of empire, starcraft, command and conquer...) is still required as this game is in early dev and not accessible to non-initiated. 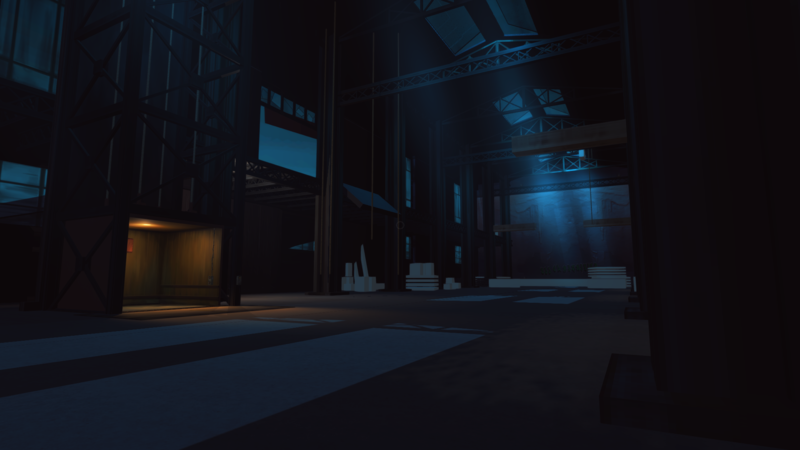 If your interested, it's available in private Alpha: get in touch by leaving a message on the lyokoconquerors channel on the discord or subscribe to the facebook group page to get access. Still in alpha, mostly paused dev, but you can play it right now as the alpha became public, get it on your nearest Google Play Store! 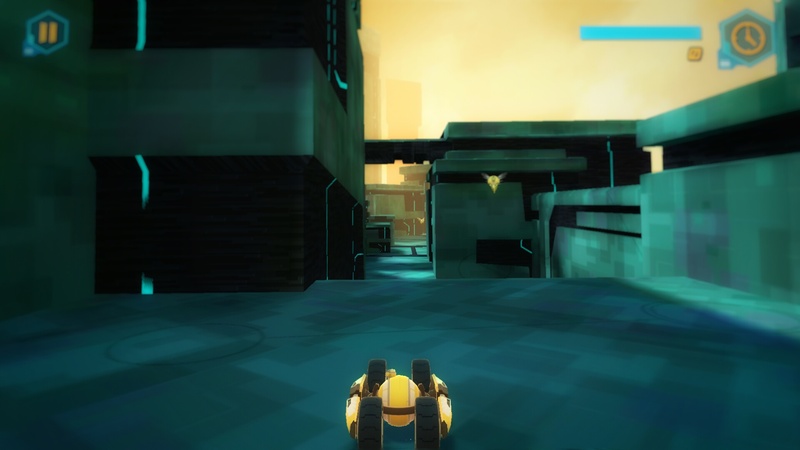 Screenshots of the games taken by various fans, thanks to them! & Jordan for translation help. 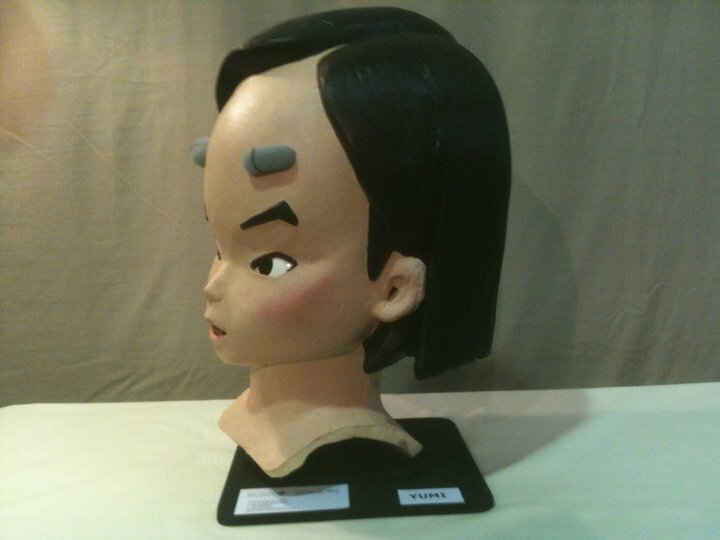 Among the load of related products released in Spain and events during the period where the series found its success. The series had, and not many people know it, a musical show. 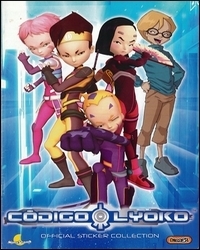 Called "El show de Codigo Lyoko: la mémoria perdida". 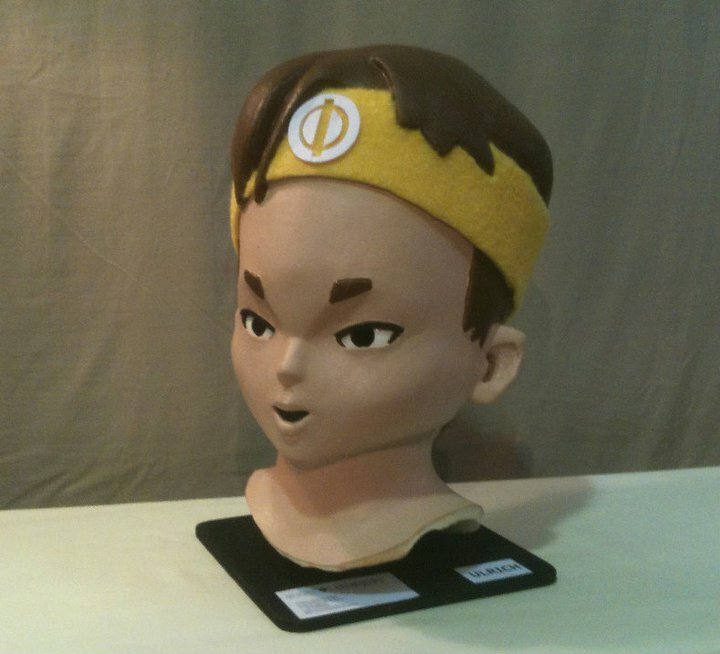 It allowed the spectator to "appreciate" the sight of the Lyoko Warriors in flesh and blood, or rather, as people dressed up as the Lyoko Warriors and dubbed by the official Spanish voice cast. If you're wondering what our heroes' masks could have looked like, well here they are! Yes! 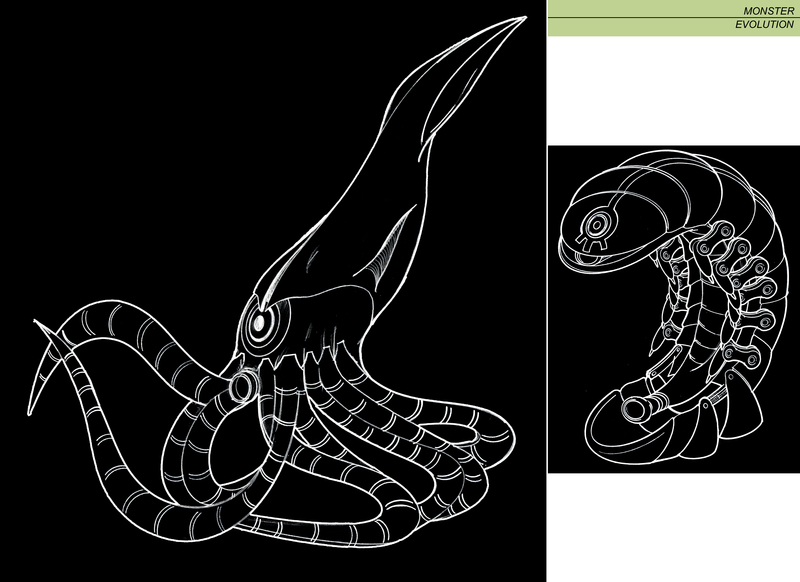 If you check out these pages, they've undergone a few changes, and not small ones. 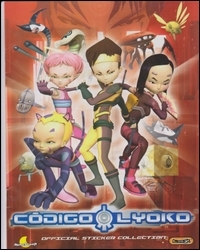 - or even the edition of a Spanish Code Lyoko PROMOTIONAL DVD containing a multitude of never before seen videos! Also check out the Books section, which has received a well deserved facelift. 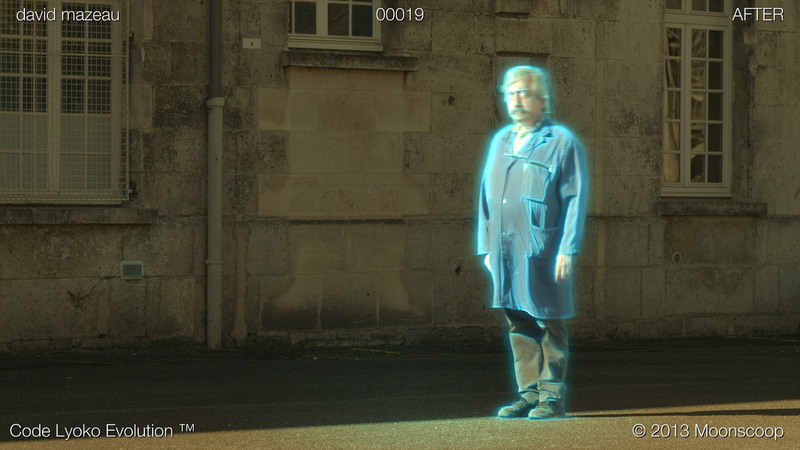 Having to work on a live action series like CLE demands changes and new perspectives, such as the creation of numerous special effects (for a French series), ranging from the insertion of interfaces onto computers to X.A.N.A. 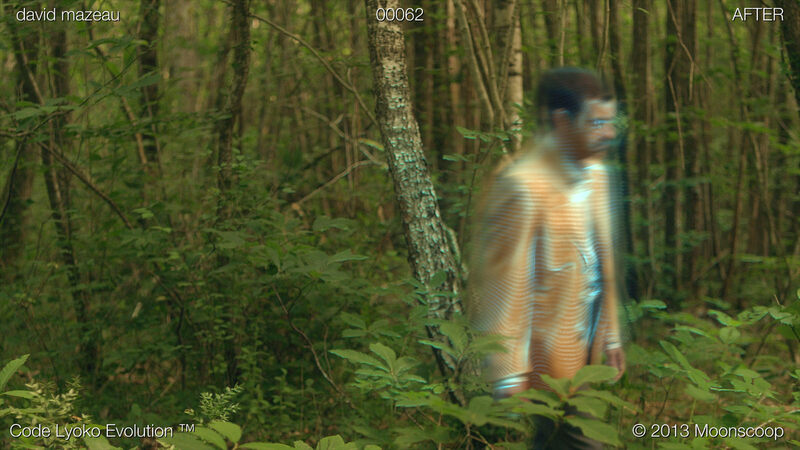 's attacks, some special effects are more discreet than you may think. Do you know for example that the team in charge of the special effects had to digitally erase all trace of Yumi's actress, Mélanie Tran's, tattoos on each shot of her back? 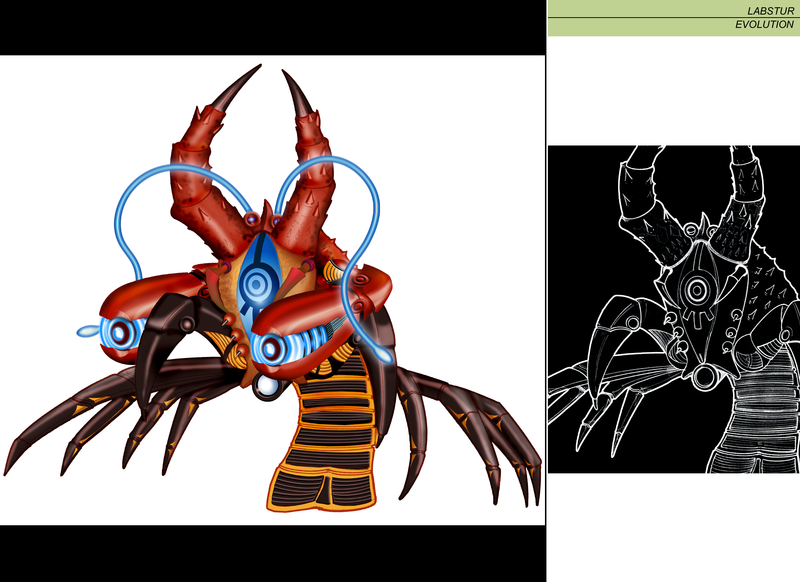 And so here's a small before/after comparison of special effects. 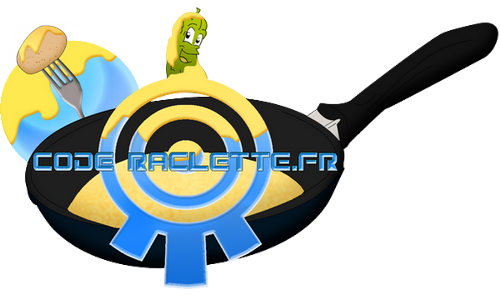 Chronicle #58 back on 15/12/2013, here's a link (it's in French). 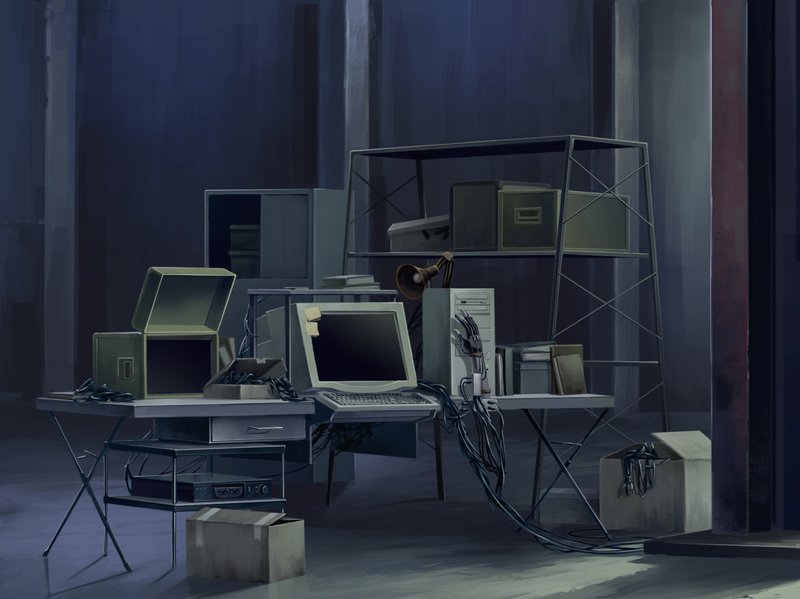 It was the publication of several backgrounds from season 1 in great quality. But you know what? That's not enough, no. They can be found in even better quality! And I offer them to you today in exceptional quality. Here it is, the second round of findings. 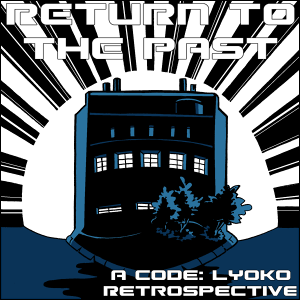 9 years after Code Lyoko ended, dive into the new findings and travel behind the scenes of the series. 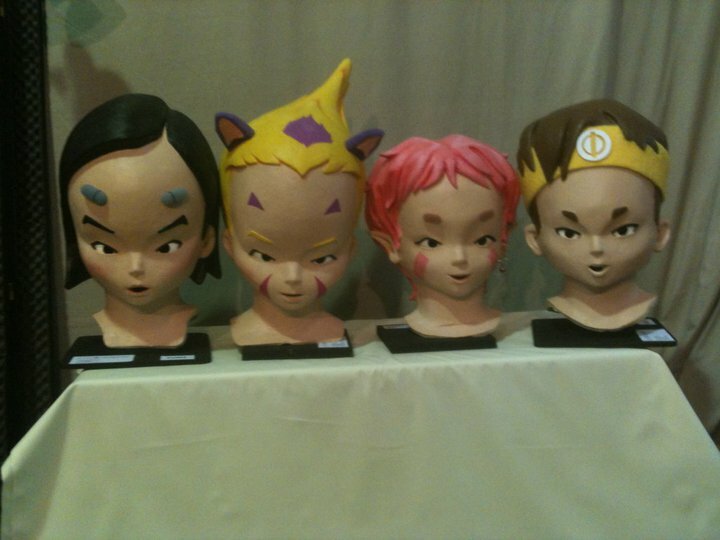 From the origin of the series to the final Code Lyoko Evolution merchandise after the success of the series in Spain. Enjoy and come back for more in 3 months' time! Let's step out of the digital universe to look at glossy paper found in the magazines released exclusively in Spain, another attempt to promote the series universe in the country...even if it didn't always work. 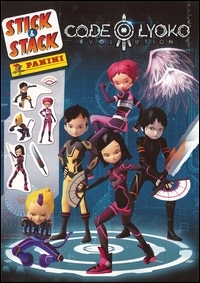 The first magazine in question is simply called "Codigo Lyoko Stickers Collection": published by the company E-max (which no longer exists) in English and Spanish, this album contains almost 200 stickers, most of which are renders from the 4 seasons and focus more on the Lyoko Warriors, the main secondary characters as well as the 5 Sectors and XANA's monsters. The second is much more recent, not only dating post-CL, but also post-CLE! Indeed, the Spanish, although they never had the "opportunity" to watch the 26 episodes of the sequel, bizarrely still had the chance to release a sticker album for the series. Published by Panini this time (which already released a sticker album in France in 2005), this album contained mostly screenshots, with brief information on the characters and episodes (with a summary for each of them) as well as a few renders from CLE and CL. 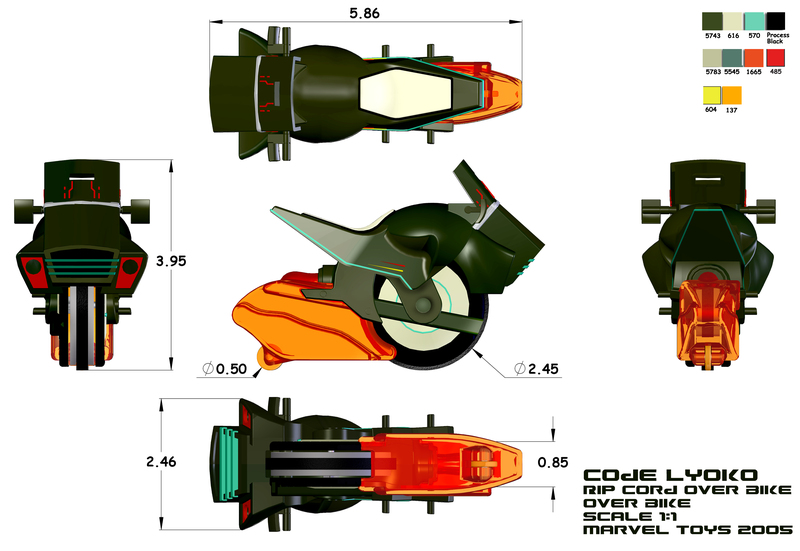 This third magazine is a new version of the previous sticker album above (thanks to the Spanish site codigolyoko.net), also published by E-max only in Spanish this time, it contains 200 new stickers, most of which are new renders. 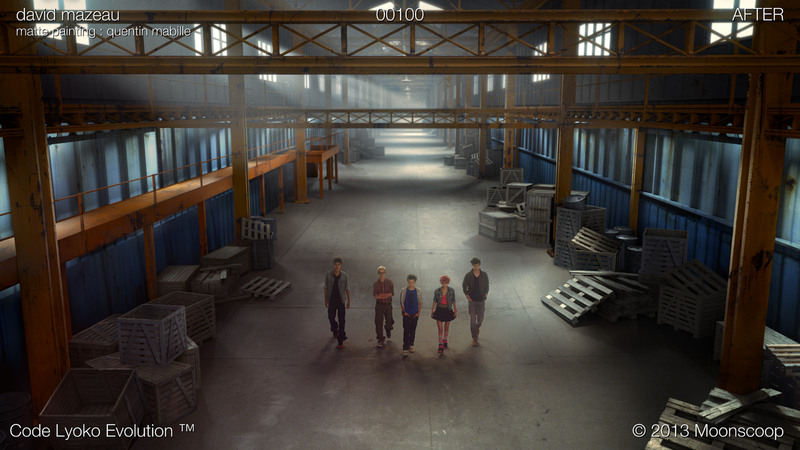 This time, it's November of 2011, the series ended 4 years ago but is making waves in Spain. 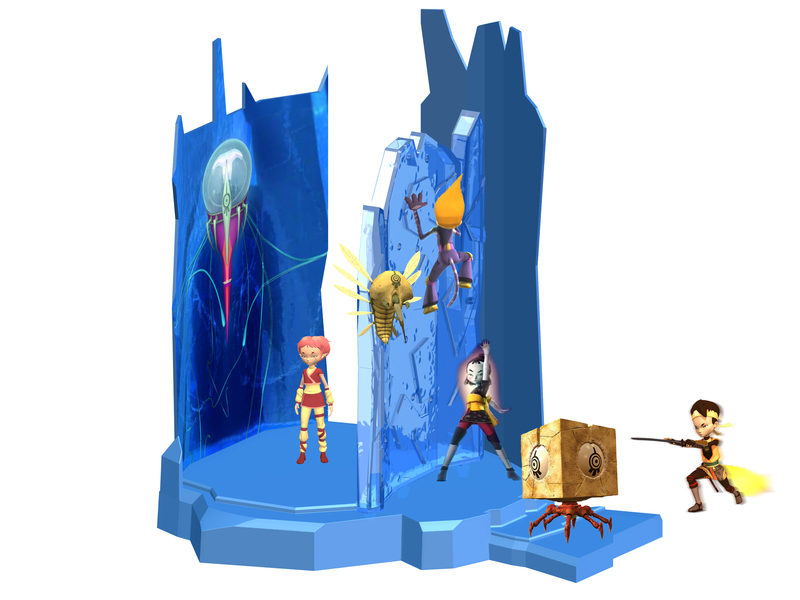 The idea of creating a sequel to Code Lyoko had already been anncounced, and the mother company is excitedly promoting the original series with the aim of creating a good reception for its sequel. 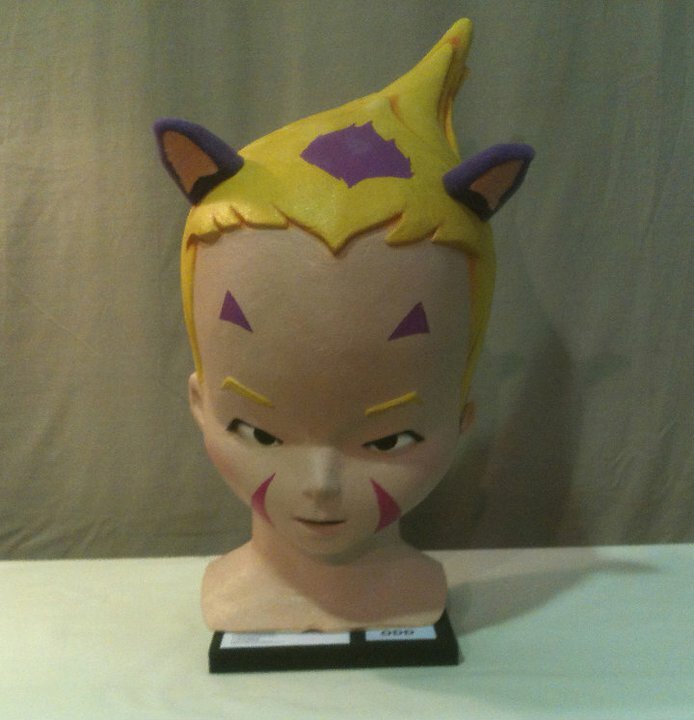 Thus were created an amount of season 4 merchandise in Spain, such as the famous action figures, but also the Code Lyoko meetup in Spain, the musical comedy and the social game. 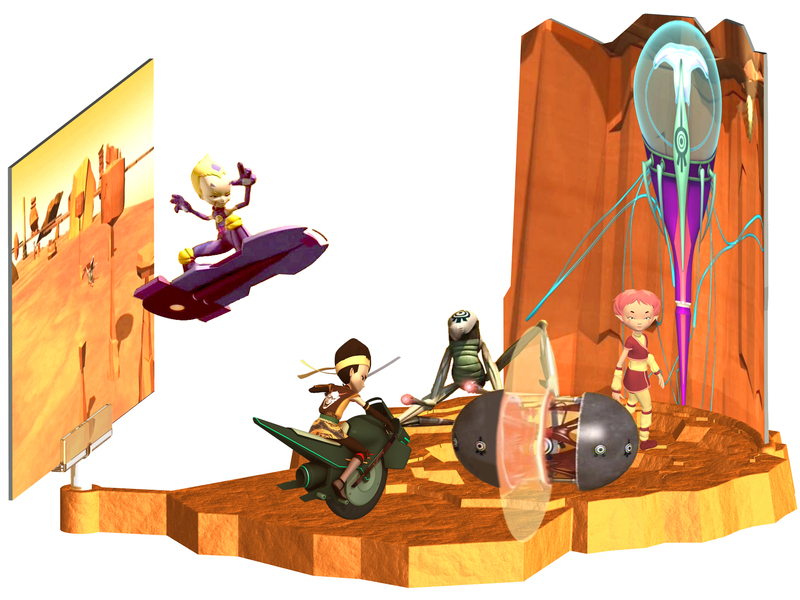 Moonscoop's final goal was to take advantage of the craze provoked by this renewal so they could convince other countries to buy the licence to Code Lyoko and/or its sequel. 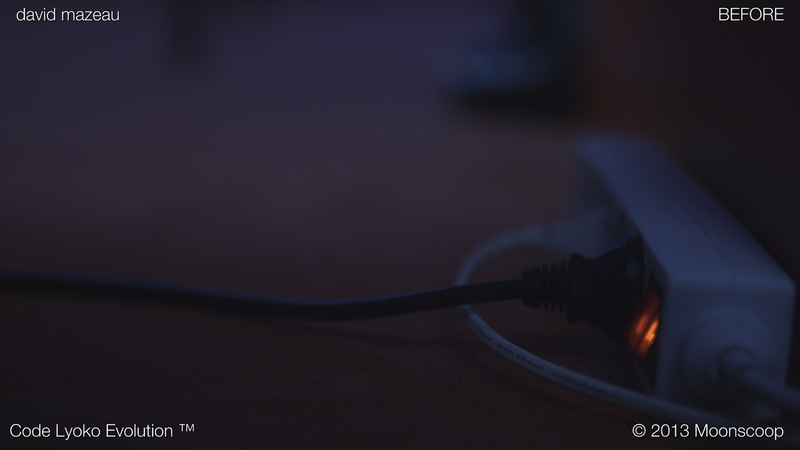 To do that, Moonscoop created a brand new TV advertisement that it offered to different broadcasters and potential buyers. This ad is comprised of clips from all 4 seasons. 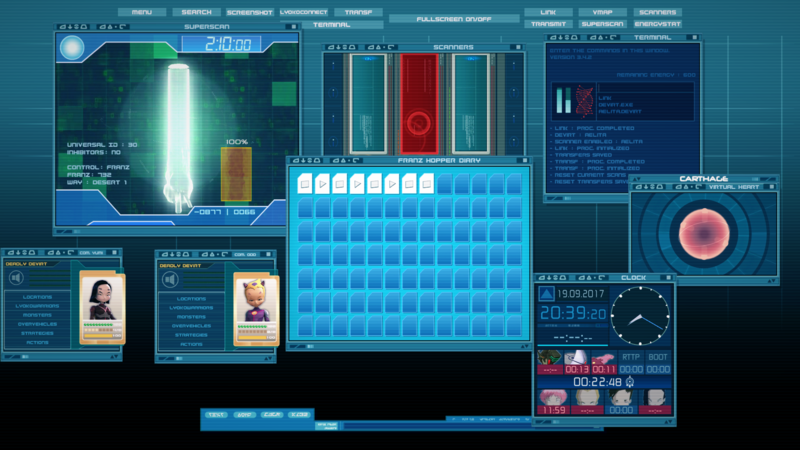 The writing director of the first three seasons of the series, Sophie Decroisette, accepted to play the question-answer game, responding to questions asked by Berik on the site codigolyoko.net, allowing fans to discover even more about the series. And now we turn to something some of you may recognise. 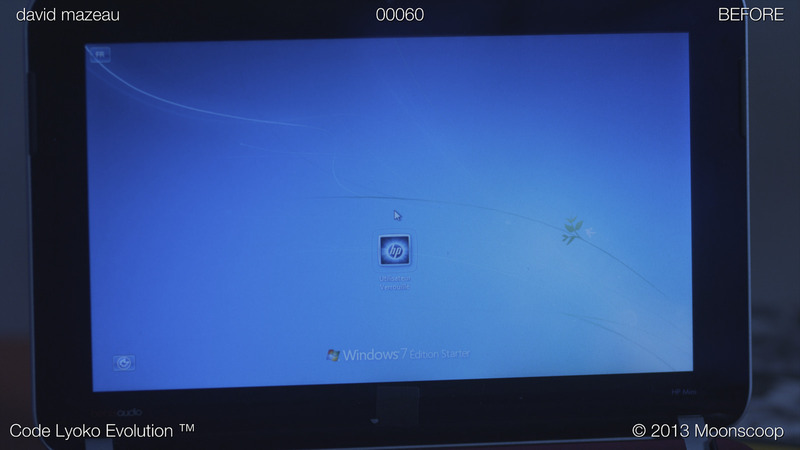 In French and in English, the DVD release of the series met a period of disaster. In France, you could find the first 9 episodes of season 1 on DVD and VHS, and that was it until 2008. It wasn't until after the release of season 4 when the first season was finally released on DVD in its entirety. And it seems, that even though just one season 2 DVD was released, advertisements for a second began to surface despite the volume never hitting the shelves. So here's that advertisement. 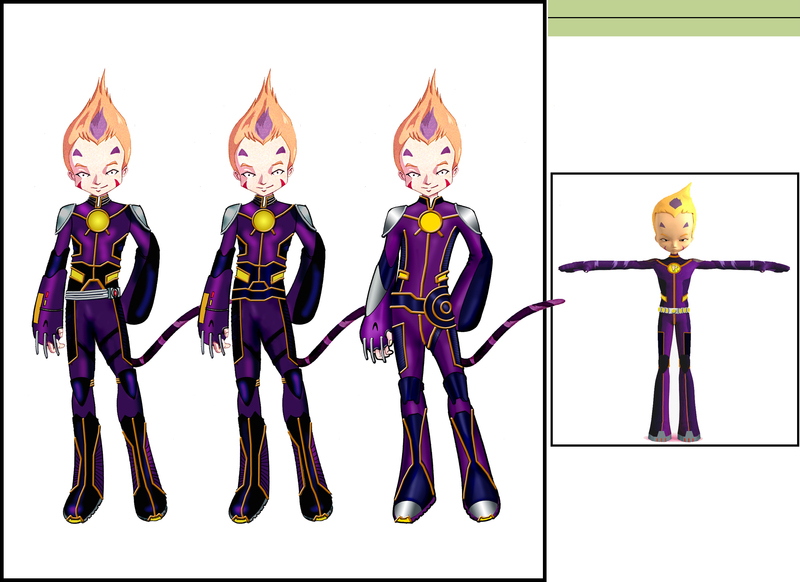 We all remember the somewhat chaotic French airing of Code Lyoko Evolution. In brief, episodes 1 to 19 in a single salvo on TV and iTunes...then the end of the broadcast, the subtitling of Hungarian versions of episodes 20 to 26 by Team Subsonics and the mysterious CodeRaclette (by the way, for those who didn't realise from seeing the logo at the time, it was us. We should've revealed ourselves a long time ago but our partner at Moonscoop stopped us, so we needed a...codename, dare I say! ). And finally episodes 20 to 26 aired later in France on Canal J. 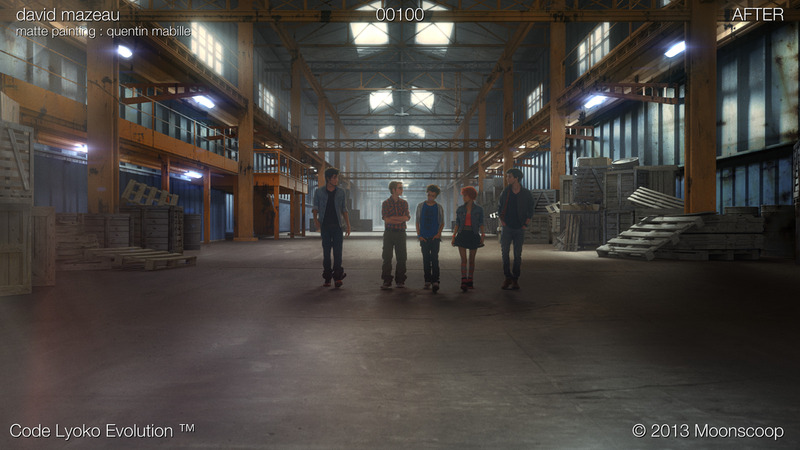 - For episodes 1 to 19, perfect image galleries in 1080p without a logo (made from the iTunes episodes). - For episodes 20 to 26, galleries in 480p with the Canal J logo (the version aired by the channel was the best we had available). 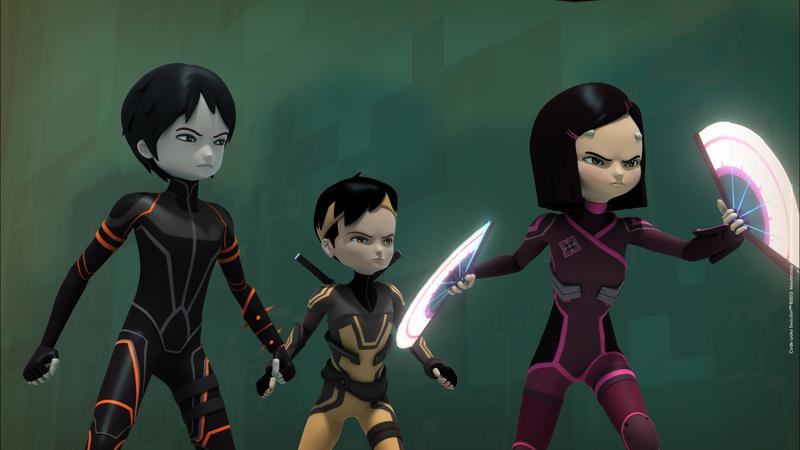 TF1 seems to have ended up with the rights to Code Lyoko Evolution. As such, for a while, the episodes were available for streaming on the TFouMax website (but they've already been taken down). From this, our sleepy network (thank you Dauphy) noticed that the episodes put up were of a better quality than the Canal J episodes. And so episodes 20 to 26 were gathered. We then launched a call for volunteers on the forum and after serious work from one member (big thanks to WR104) and our usual team, the galleries were ready to be updated. 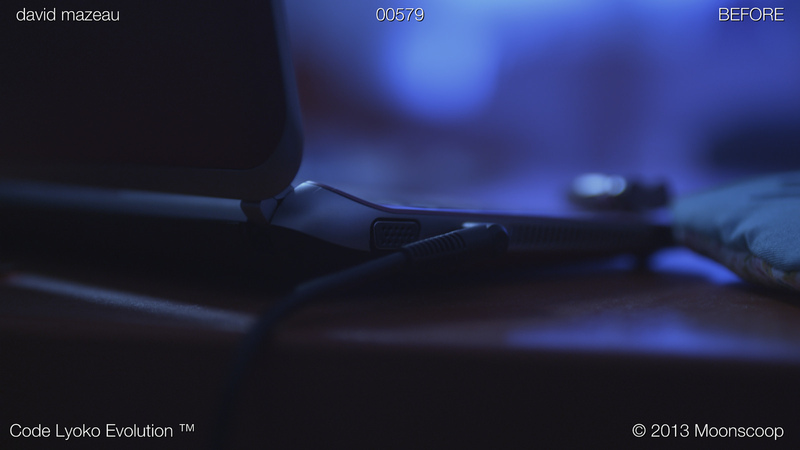 So, the galleries for episodes 20 to 26 are now available in the best possible quality, that being 720p (instead of 480p) and especially without a logo. 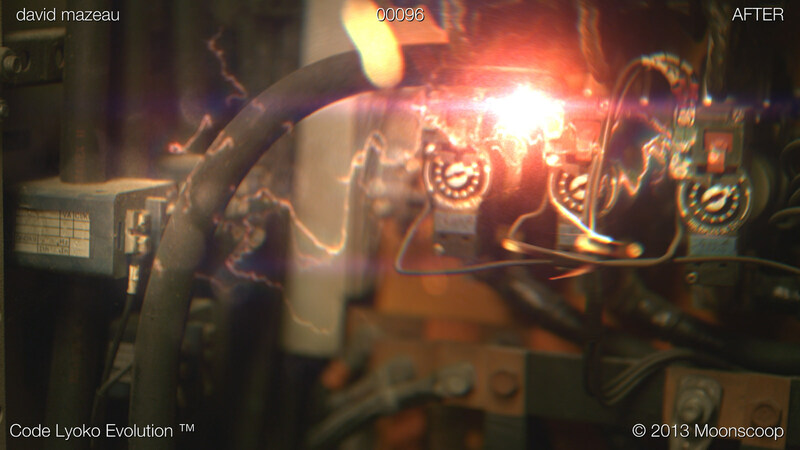 We've also added the title cards for episodes 1 to 10, which had curiously gone missing. 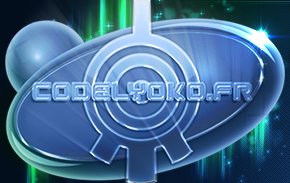 Don't forget to keep in contact with CodeLyoko.fr. So now, we can get down to business. Hello everyone. So yes, we're back, for real, finally...in reality, we didn't actually leave. The goal of this chronicle, for those who aren't aware, was to reveal documents, videos, music, etc. 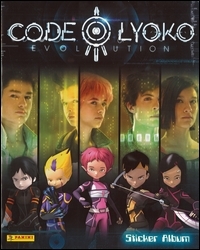 weekly during the time Code Lyoko Evolution was airing (more of less)...with the aim of going further into the series background and allowing fans to discover never-before-seen images of the original series almost 10 years after it aired. For those wanting to refresh their memories, here's a compilation of the best of 101 findings (most clips in French). Nostalgic? That's just the tip of the iceberg. 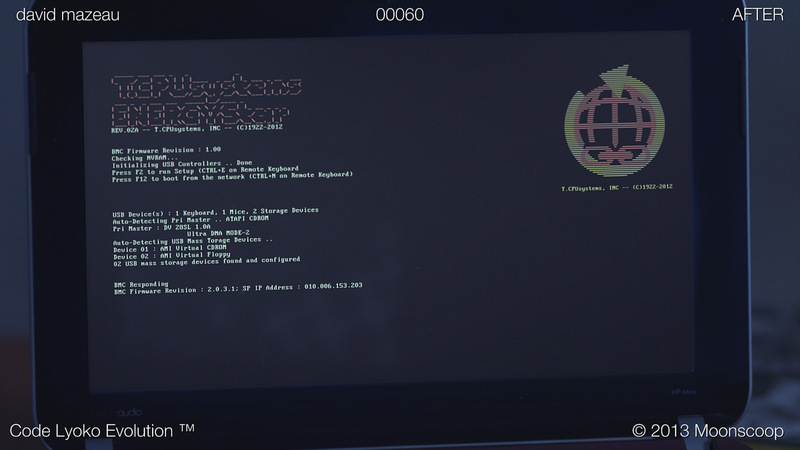 Since the end of the chronicles, I've continued to sift through the net looking for new documents and for the most part, it's been satisfying. And after gathering a certain number of findings, the distribution of gifts can now commence. This chronicle will appear again a few times throughout the year (so as special events) with a multitude of more or less interesting new images. Here we go! 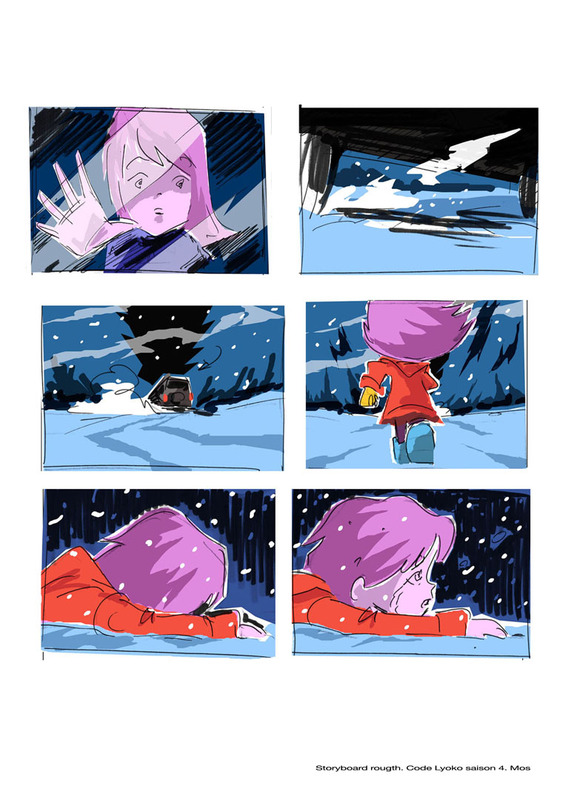 Here are storyboards of episode 82 Distant Memory, more precisely of the flashback scene of Anthea's kidnapping. 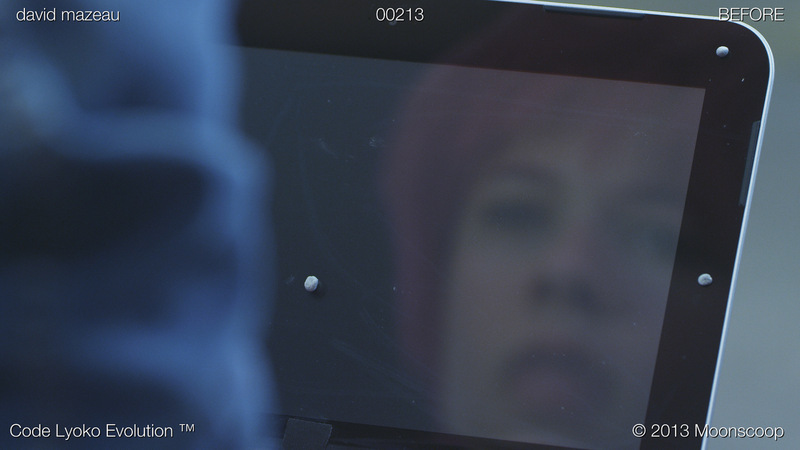 If you look closely, these storyboards have particular significance. 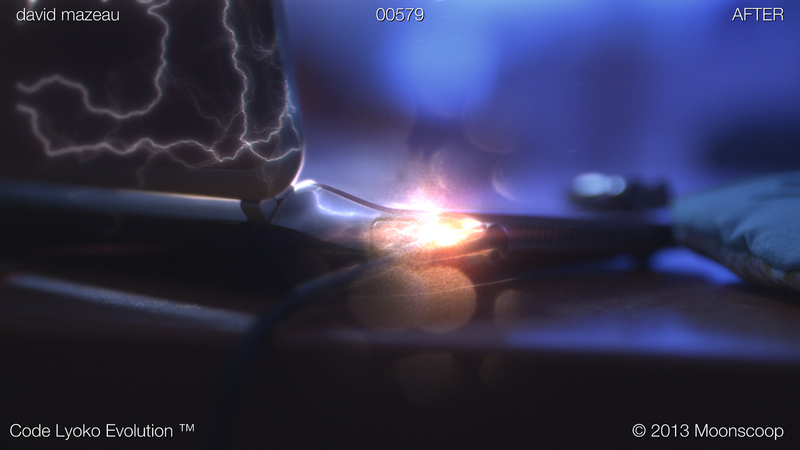 Indeed, in the creation of a series, the usual process is to first create the literary and graphic bible of the season, then its common thread which will then allow different writers to work on their episodes from the bible, to finally allow the storyboarders to create the storyboards for different episodes. 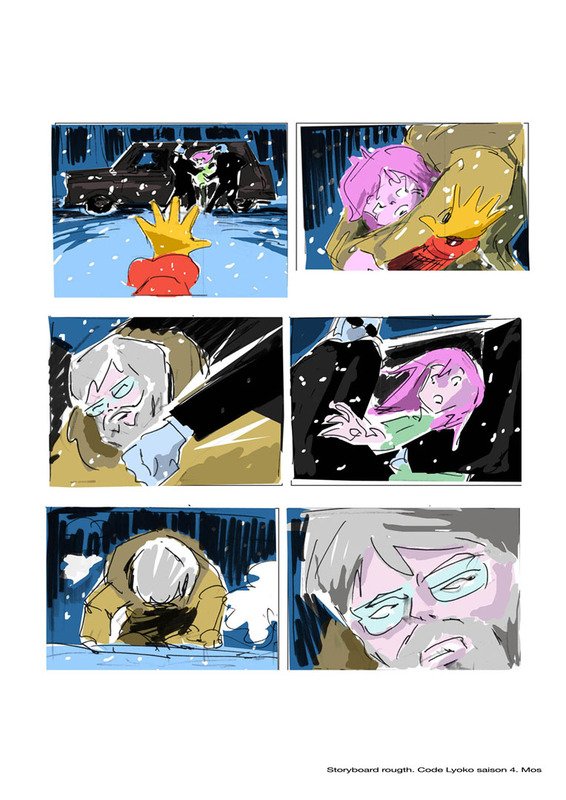 The final goal being using these storyboards to create the episodes. 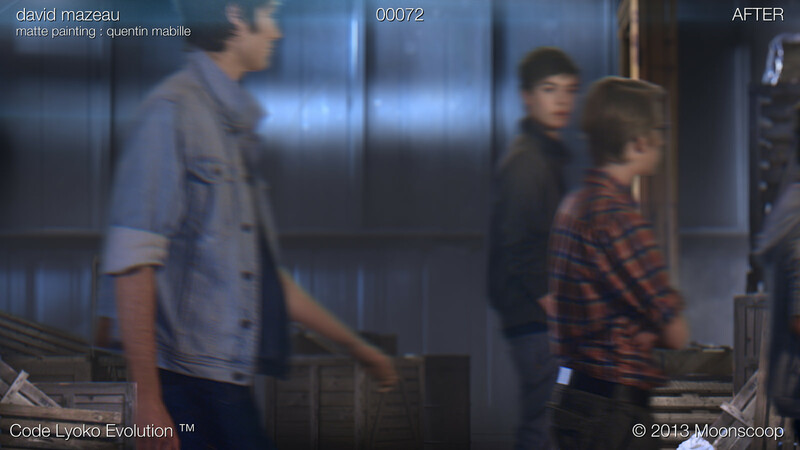 As you surely know, the series has its own codes concerning the creation of flashback scenes: flackbacks are unique, for some are a series of specially-made, high-quality drawings with certain effects (travelling for example) added. 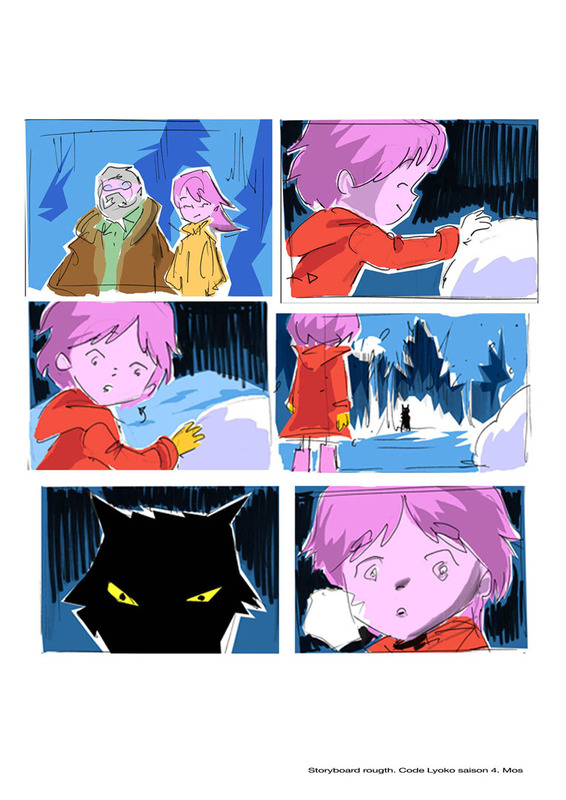 So here are the storyboards in question. 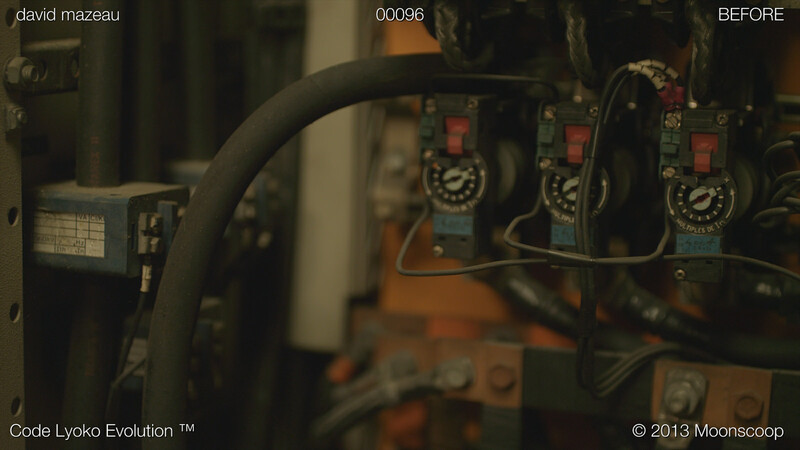 As you can see, the original scene differs to the final one. We can wonder why: is it because of the explicit violence? Or maybe because it didn't match up with the literary bible? Or because of a planning problem (these flashback images, of high quality, weren't done by the same person as other images from the cartoon)? Is it XANA's fault? So many unanswered questions...mysteries still left wide open...(for now). Did you miss them? 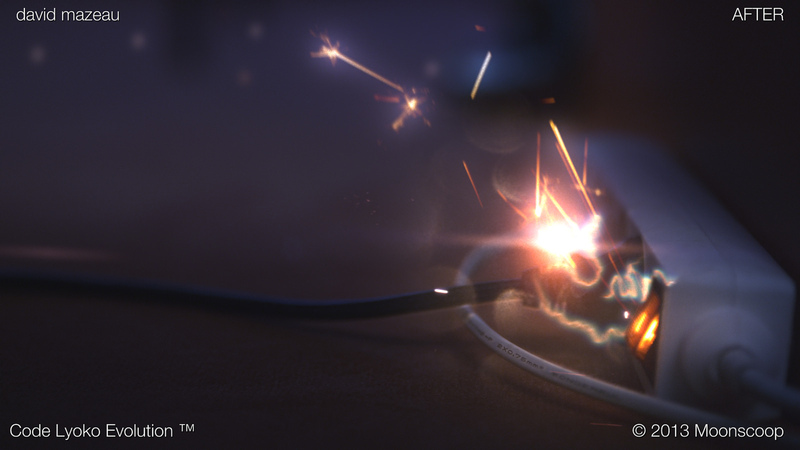 New, old, here are some renders! Not a lot, of course, but some of them are very rare. 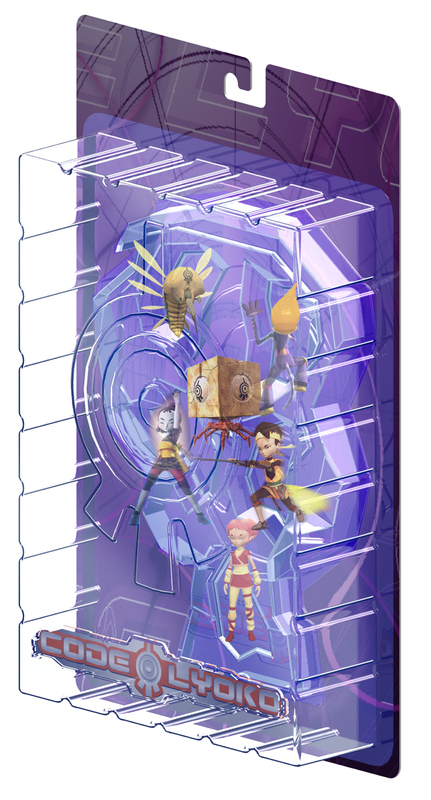 So first off you'll find the renders of the Blok and the Hornet are in higher quality than the ones previously available, plus a new render of Aelita from season 1. 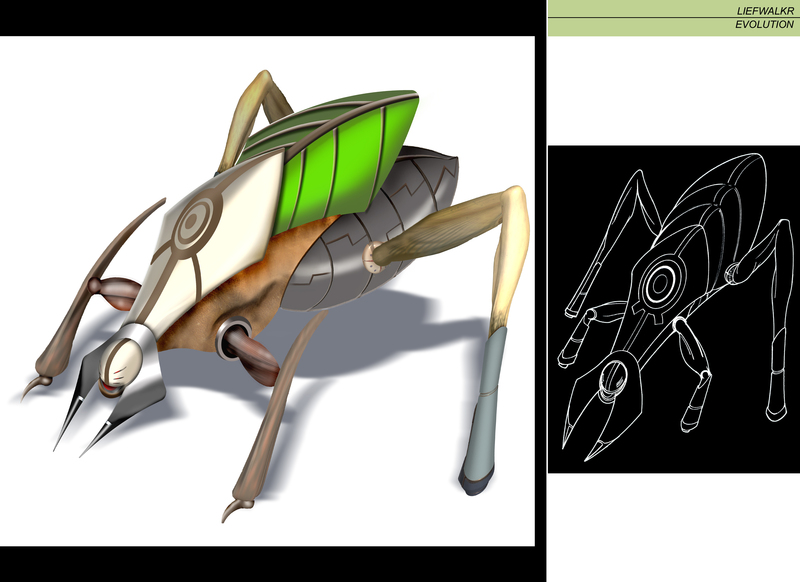 And finally, a very rare one of Ulrich (it was only used in France when the TCG was available), it represents our Lyoko Warrior in the virtual world circa season 2 with a Super Sprint trail behind him, and its counterpart with Ulrich on his Overbike, in a way that lets you easily admire the devilish head on his outfit. You know the Un monde sans danger clip from season 1! You certainly also know the Un monde sans danger clip from season 2! 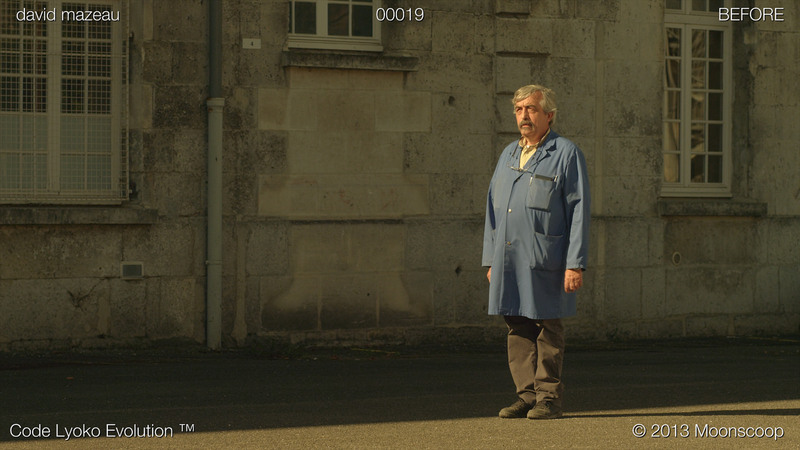 You don't know the Un monde sans danger season 3 clip? That's to be expected, it didn't exist; instead we had the Planet Net video. And season 4? 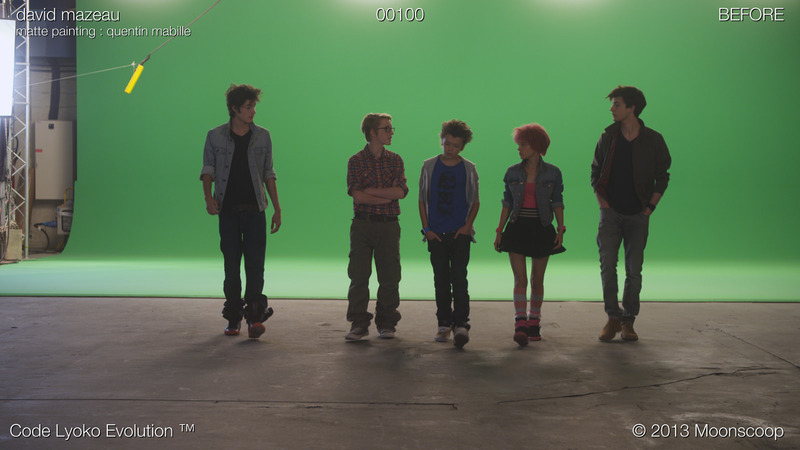 No clip? You might've thought as such! 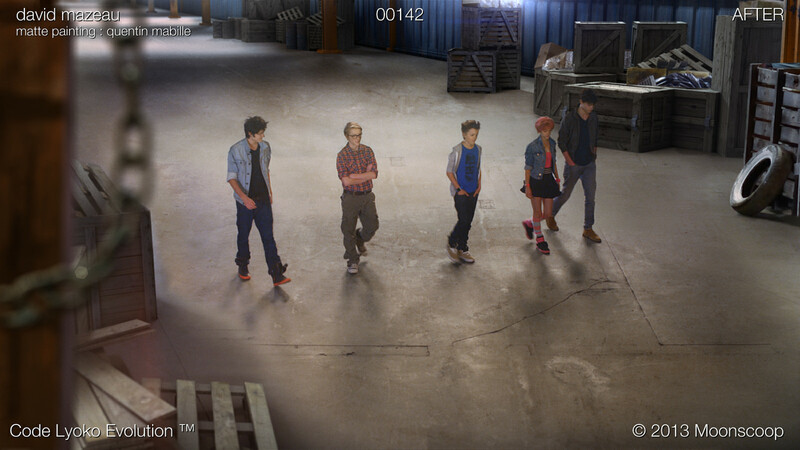 It seems that an Un monde sans danger "season 4" version video does exist. Warning, I'm not talking about any fan-made one available on dozens of YouTube channels, but an official clip. Nothing "new" so to speak but nevertheless something new in and of itself. 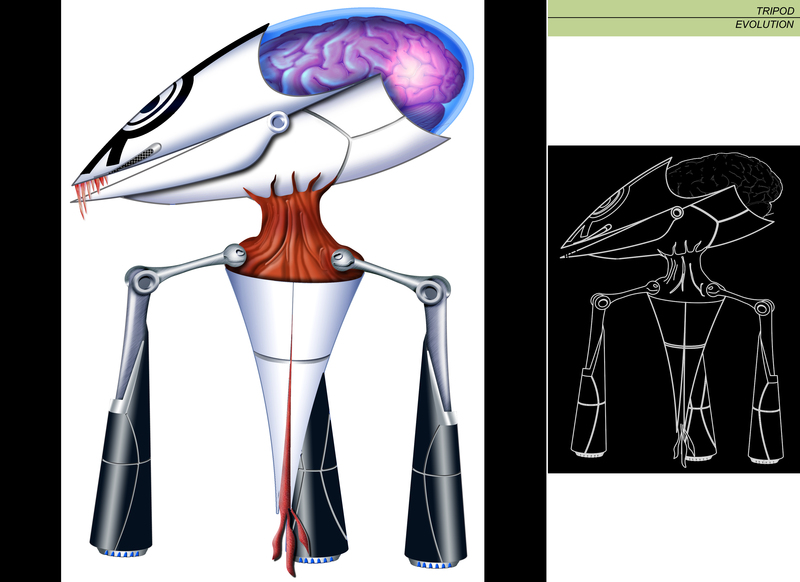 Now that Code Lyoko Evolution is well and truly over and no new promotion has been released for the series, some sections of the site can now be finished, and this is the case for CLE desktop backgrounds. 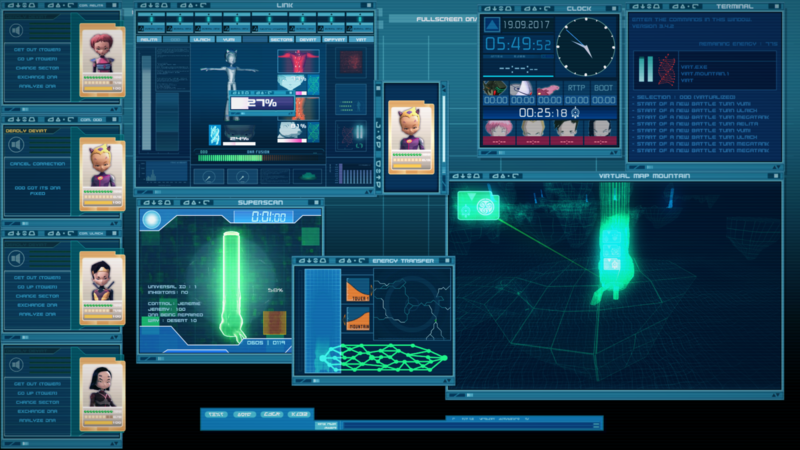 Just to remind you, these "desktop backgrounds" are promotional images (which are nothing more than screenshots) that Moonscoop made available to television channels, or press releases to illustrate the series. 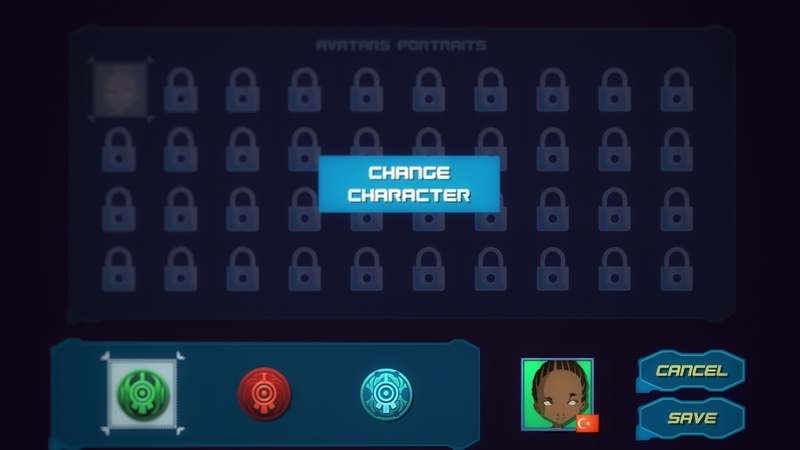 "Dear players, We've met the direction of Ellipse Animation and they are interested to continue the exploitation of the game Code Lyoko. So, we want to know your wishes for the future in order to propose them a concrete updates plan. Thanks for your help." Go to the CLSG page to voice your opinion.